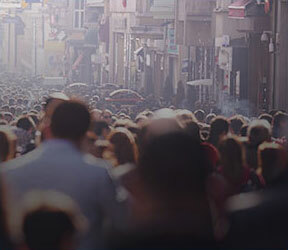 To develop and disseminate knowledge in the field of public and private business, improving people’s quality of life and contributing to Brazil’s socioeconomic development. To maintain excellence in the quality of teaching, academic output and research, to establish a Brazilian leader on a par with the world’s best similar institutions. To be a school that is internationally recognized for its excellence. Discover facts and figures that demonstrate the results of more than 60 years preparing leaders. 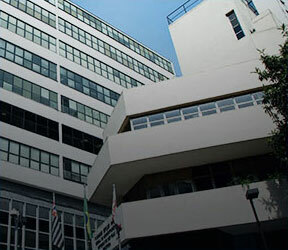 Fundação Getulio Vargas’s Sao Paulo School of Business Administration (FGV EAESP) was founded in 1954, thanks to the joint efforts of the Brazilian government and business community, in collaboration with Michigan State University, in order to train people to tackle the challenges Brazil was going through. It was a period of fast growth, technological change, international contact and the emergence of new economic powers. In this context, the School played a fundamental role in preparing and updating Brazil’s managerial capacity, working to meet new demands for executive education and accompanying the phase of intense industrial development that was beginning. Since then, FGV EAESP has enhanced itself continuously to meet the demands of the academic and business communities, creating and implementing new courses and services in many different sectors. Opening of Sao Paulo School of Business Administration (FGV EAESP), thanks to the joint efforts of the Brazilian government and business community, in collaboration with Michigan State University. Launch of Business Administration Undergraduate Program, one of the first in Brazil. Foundation of Research and Publications Center. Launch of Journal of Business Administration, the first Brazilian scientific journal in the area, which has been published continuously since then. Based on Avenida 9 de Julho, in the neighborhood of Bela Vista in Sao Paulo, FGV EAESP is composed of a main 12-floor building, the Karl A. Boedecker Library building, and the Getulio Vargas Auditorium, as well as a multisport court and two annex buildings, located at Rua Itapeva, 432. 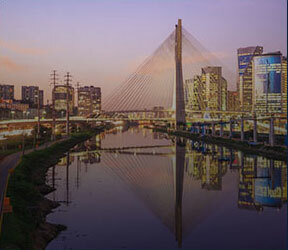 The classrooms, videoconferencing rooms, IT laboratories and integrated systems, all sponsored, are located in FGV Sao Paulo’s different buildings. The School’s main administrative office, academic departments, most of its administrative departments, the Noble Hall, the Mayor Faria Lima Bookstore and the Getulio Vargas Academic Office also occupy the main office, as do the professors’ social space, the outpatient medical center, two restaurants and two snack bars. The annex buildings house some administrative departments and student groups such as Aiesec, the Junior Companies group, the Athletics Association and the Employees’ Association. The FGV 9 de Julho Auditorium can accommodate 315 people, with six spaces for wheelchair users. It hosts around 80 events per year. It has a changing room, central air conditioning, a stage, a simultaneous interpretation booth and an entrance hall with facilities for coffee breaks for up to 160 guests. Open from 6 am to 10 pm, Monday to Friday, and 6 am to 6 pm on Saturdays. Smaller events are held in the FGV 9 de Julho Room, which can accommodate 88 audience members, plus a head table for up to six people. Fully accessible, it has a changing room, central air conditioning and an entrance hall that can be used for coffee breaks for up to 50 people on foot. Open from 6 am to 10 pm, Monday to Friday, and 6 am to 6 pm on Saturdays. The Karl A. Boedecker Library (BKAB) is part of the FGV Library System. Its archives span the areas of administration, economics, business, law and social sciences, including books, e-books, magazines, dissertations, theses and DVDs. The library’s users can also access databases containing journal articles, and economic, financial and legal information. It has individual and group study rooms and consultation terminals. On the library’s website, you can access the full list of services, available resources and opening hours. The FGV Bookstore specializes in Brazilian and imported books in the areas of business, administration, economics and law. Students, professors and alumni are eligible for discounts and they can order books on any subjects. The FGV Bookstore is open from 9 am to 9 pm from Monday to Friday, and 10 am to 2 pm on Saturdays. FGV EAESP’s classrooms feature multimedia equipment, internet access and comfortable furniture to make learning dynamic and pleasant. There are also sponsored classrooms, which use equipment and resources paid for by partner companies in exchange for their logos being displayed to students and employees. This sophisticated space for events holds up to 150 seated people and it has three head tables for up to seven people each. The infrastructure includes a staff break room and elevator for physically impaired people. The Noble Room functions from 6 am to 11 pm, Monday to Friday, and 6 am to 6 pm on Saturdays. An innovative space created to host academic activities, CoLab is based on a modern and distinct learning model involving collaborative and action-oriented methodologies. Its principles are empathy, a focus on human beings and sharing of responsibilities. The sports court is a meeting point for students and it also hosts sports events such as indoor soccer and basketball championships. The court is administered by Atlética, an FGV EAESP student organization. This space is open to graduate students. It is also used to support coffee breaks for events. It can hold up to 70 people on foot and it is fully accessible. Located at the school’s main entrance on Rua Itapeva, this large space fosters interaction between students and employees.